Update: Consider this pure bunk for now. A representative on behalf of Tim Burton contacted MTV and told them that no such statement was ever provided to ShowbizSpy. Seems like the site simply made up the quote. Original Story: Beetlejuice. Beetlejuice. Beetlejuice. 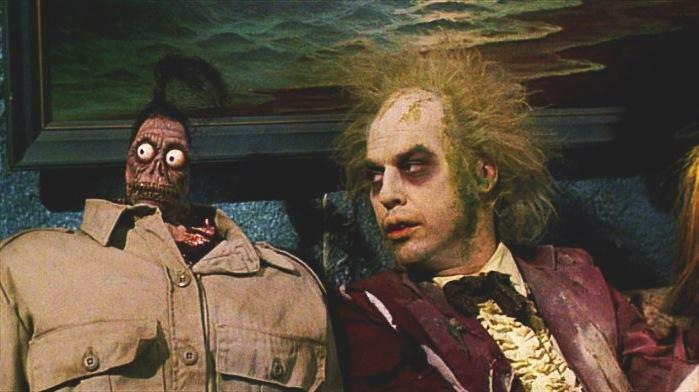 The sequel to Beetlejuice is officially happening. Director Tim Burton has confirmed the rumors in a direct comment with ShowbizSpy. According to Burton, the flick is happening and Winona Ryder and Michael Keaton are included. "The film is a go and has been approved by the Warner Bros. team, we have talked with the cast members we wanted for the film and they are all on board, this includes both Winona and Michael. We have the script in hand everything is in place all we need to do now is get ready to start filming." It doesn't get any more concrete than that before production officially starts. Beetlejuice joins the litany of 80s properties revived in the new millennium. The rumors indicate that this isn't so much of a reboot as it is a proper sequel, though, thus bucking the trend of making old properties completely new. With Burton at the helm, the flick will assuredly retain its dark and hilarious appeal. We'll have more on this one as it comes.